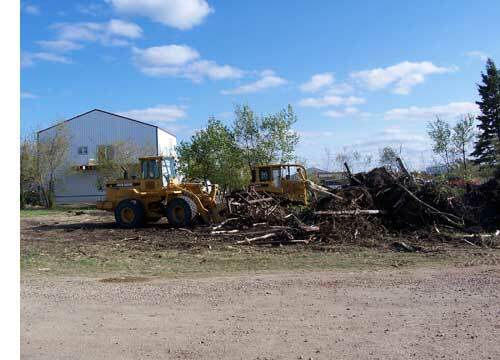 On June 5th (right) this picture was taken as the property was cleared of the bush that one on it as it was clear then that there was something planned for this site. 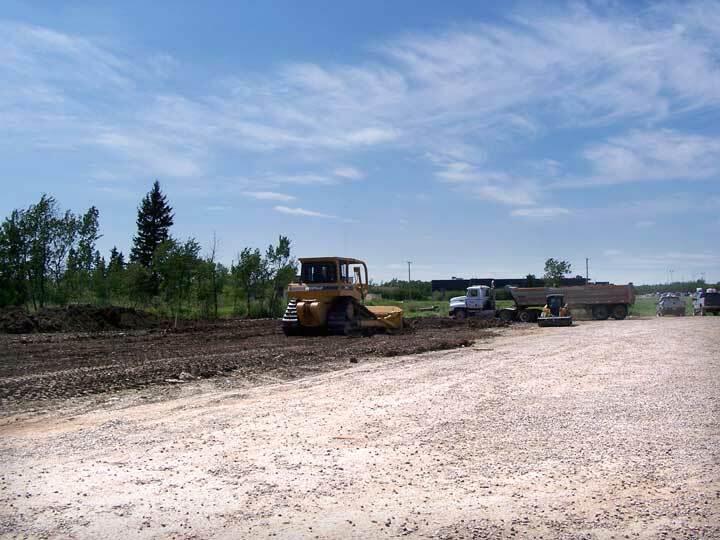 Below, we see the site just on the south side of K & G Truck and Car Wash as it looked on June 30th with it levelled and fresh fill packed in place. This area was lower than the area to the north and it was necessary to get a solid base in place before any construction could begin. 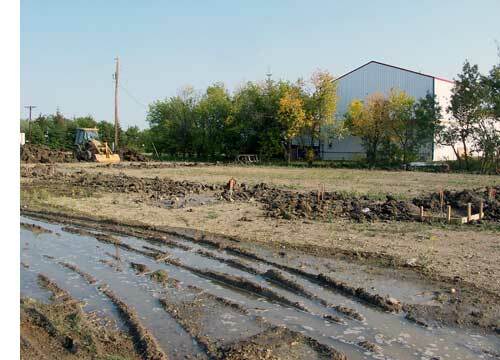 The site remained pretty much untouched through what little summer there was this year until September when work began on the project with a foundation being put in place (right) on September 2nd. 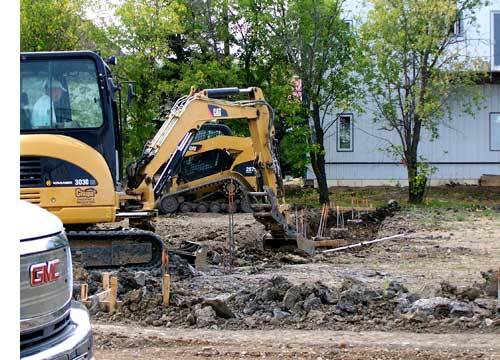 I am unable to explain the town's involvement but on September 3rd the town crew was involved working some underground lines along the north side of the project (below) they also were back on the side on the highway side with some excavations about three weeks later. 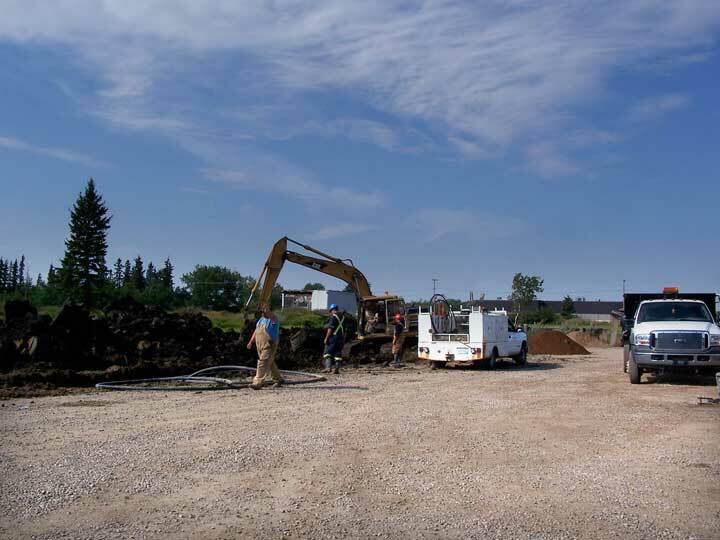 With these piles in place the outer foundation was excavated on September 10th (right) with forms being installed to pour a solid outer wall for the walls of the new structure to be erected. 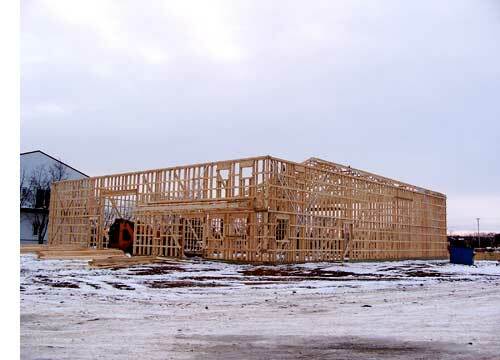 On September 13 (below) we can see the forms still in place as carpenters set to work. At this point there still had been no indication as to what this project was to be but shortly a sign was put out in front of the project (inserted in the picture at the top of the page) that identified this as Gary's Paint & Body. 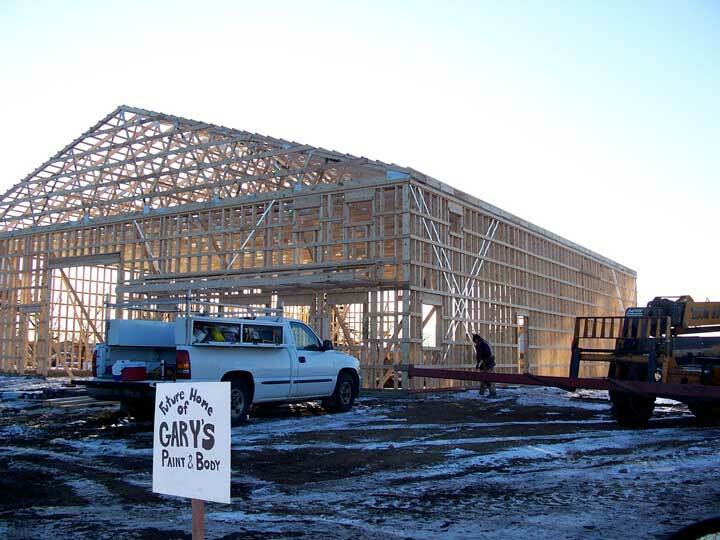 Gary's Paint & Body is presently located on the same block to the west end of the Beeland Co-op lumber yard where it has operated for many many years. 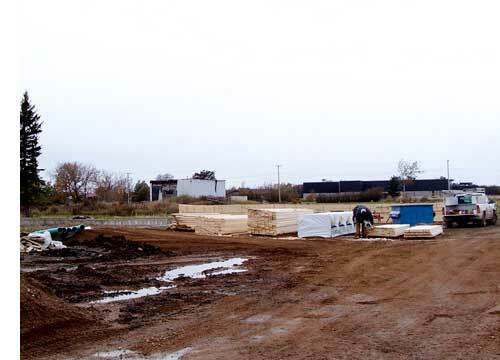 With a foundation in place the materials were delivered and work was about to begin on October 22 (right). 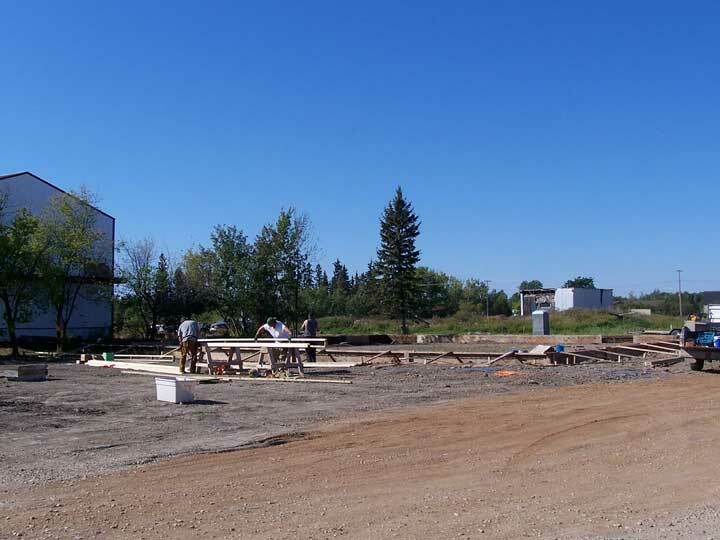 On October 26th (below) the first walls were assembled and the structure began to take shape. It had been clear from the outset this was to be a large building but it was not until construction began that it was obvious how big. 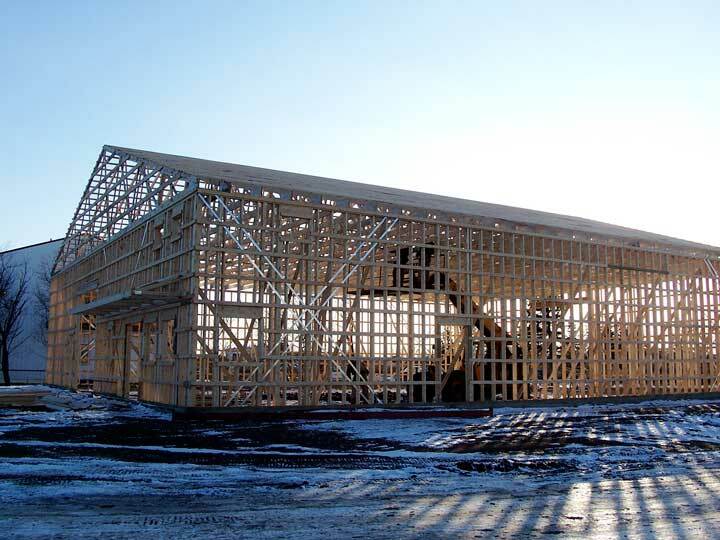 On November 2nd the walls were standing and the rafters were being put in place. Though this project had been on the go since early June the building itself went up in only a few days so that from October 22nd to November 4th the building became a real thing. 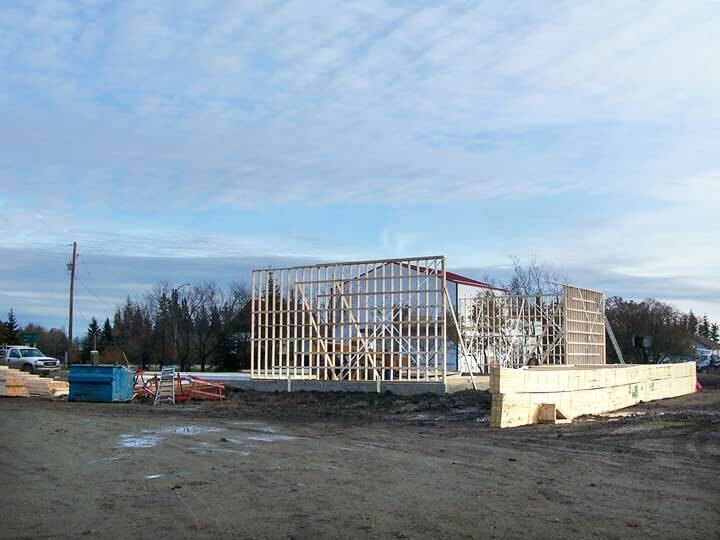 Below, is how the new building looked yesterday with its rafters all in place while today the carpenters were tightening up the structure readying it for sheeting in the coming days. An imposing building with large doors front and rear and office space on two levels on the front north side.